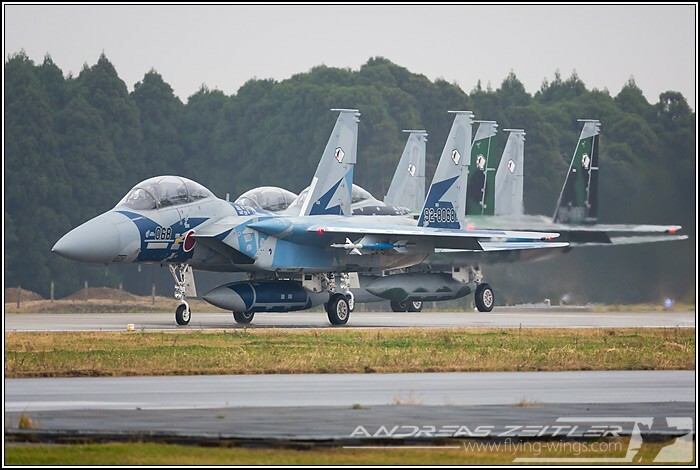 The 60th anniversary of the JASDF in 2014 promised many special schemes on their aircraft, though the amount and variety of the 50th anniversary would most probably not be matched. 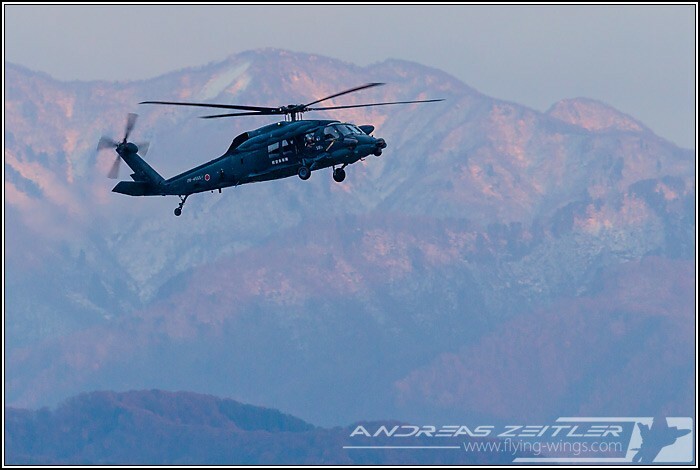 Nevertheless this was the motivation for another trip to the land of the rising sun. About 200km on the highway North of Nagoya and on the shore to the Japan Sea lays Komatsu, which is not only the birthplace of the world-famous construction engines, but its airport also the homebase of two wings of F-15 Eagles, the 303 Hikotai „Fighting Dragons“ and the 306 Hikotai „Golden Eagles“. 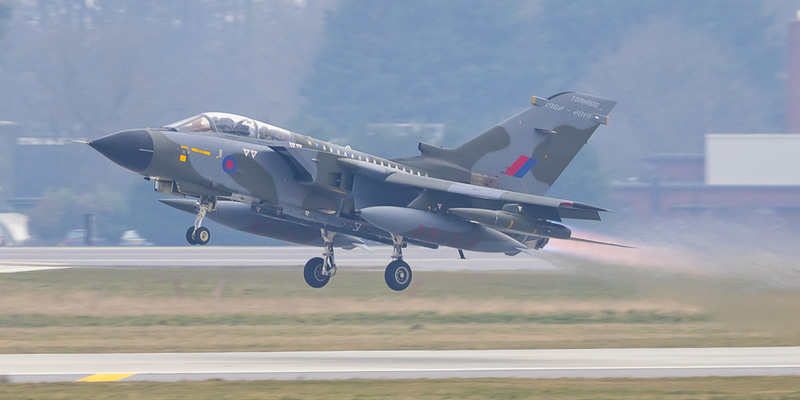 Its location make it the spear tip against intruders approaching from the East, though during nearly four days at the airport the QRA did not fly even once. 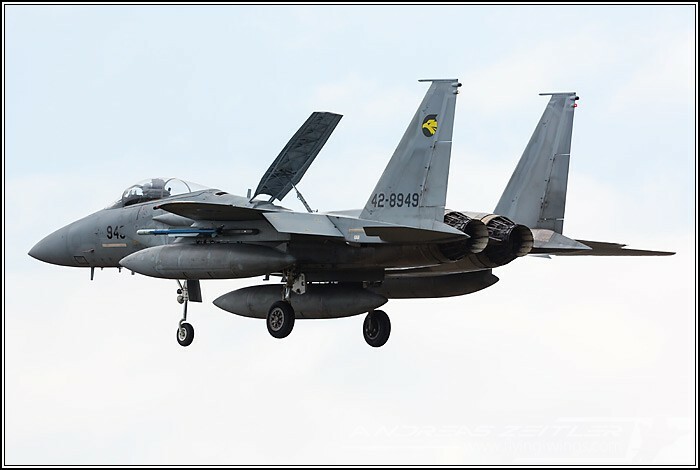 But seeing F-15s equipped with the AAM-5 air-air Missile was a new sight for me. 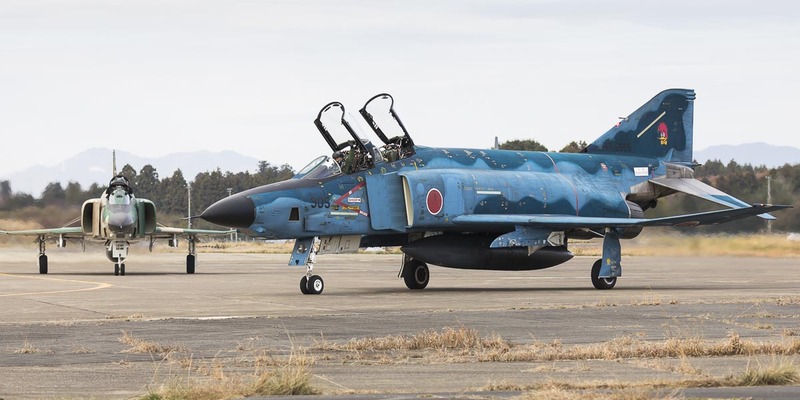 However a small exercise was going on: there was a detachment from Hyakuri with some F-4EJ Phantoms of the 302 Hikotai and 8 F-15 Eagles of 305 Hikotai. 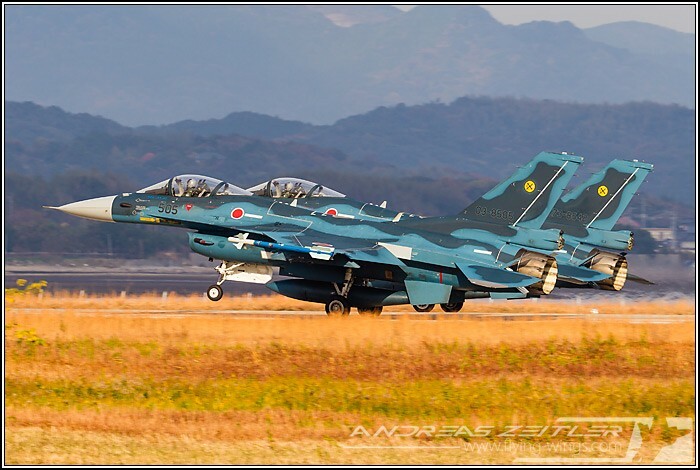 Furthermore up to 7 PACAF F-16s from Misawa were flying local mission from Komatsu. Flying activity was very good, but there was obviously a bad weather period as the sun was nearly continuously hiding behind the clouds or came out at the wrong point of time. 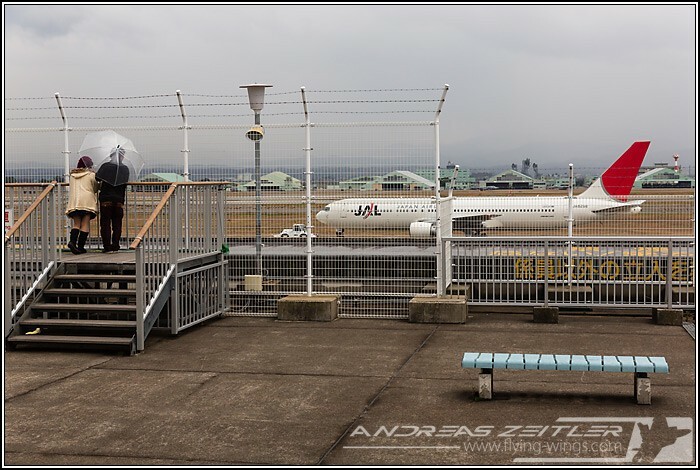 Nevertheless during cold autumn months the visitors deck of the civil airport building offers a warm waiting room and the possible to get also some nice shots of civil traffic with the Hakusan mountain range in the background. 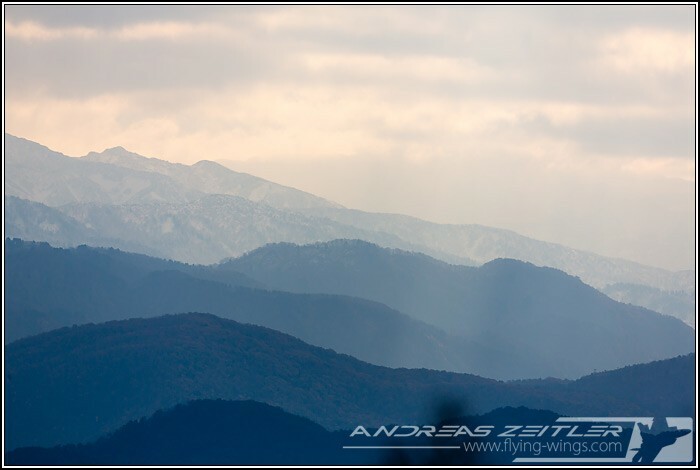 Its peaks with a height of up to approximately 2800m were already covered with slight snow at this time of the year. 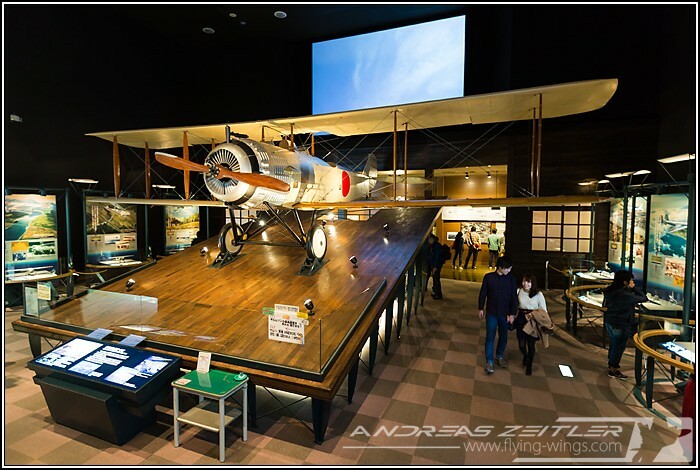 And while you are there, you should not Forget the "Aviation Plaza" Museum, which is located just opposite the civil Airport terminal. 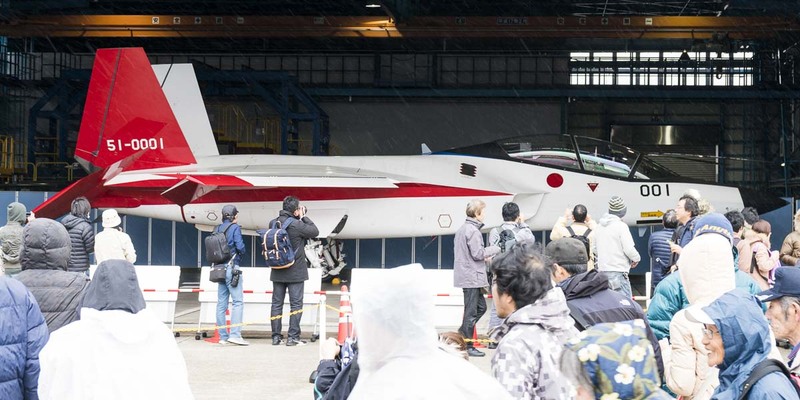 The "Plaza" is led by a former JASDF Pilot who likes it a lot to guide foreign visitors around and feautures a range of interesting exhibits such as the sole Japanese Dornier Do-28, an immaculate F-104J and a wodden mock-up of the Mitsubishi F-2B. 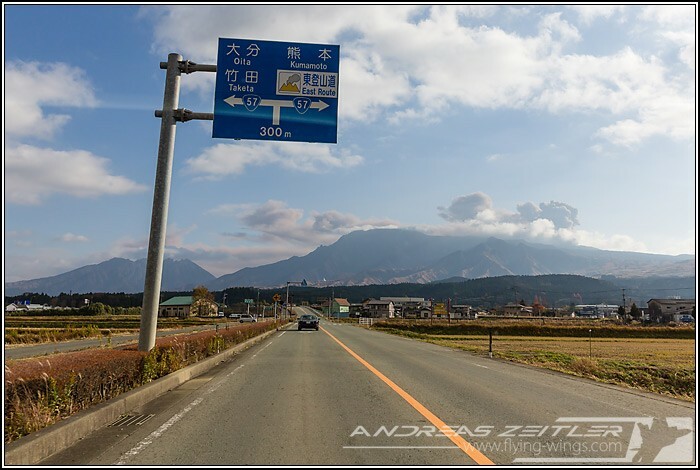 Back to Gifu in Central Japan, offering far favorable weather conditions. 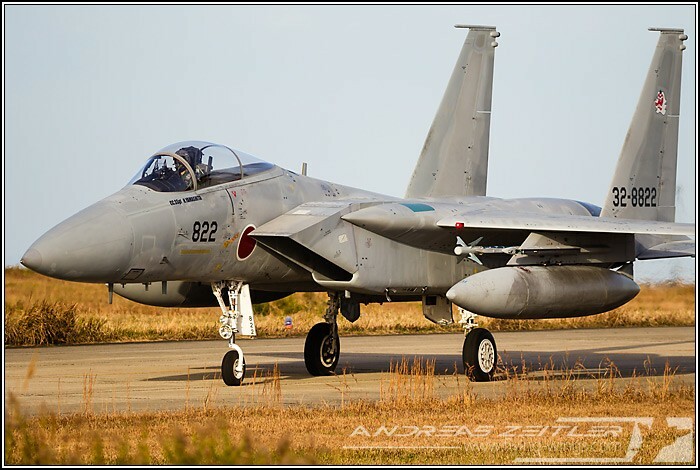 Located a bit North of Nagoya, Gifu is home of the ATDW (Air Test and Development Wing), the Flight Test Centre of the JSADF. 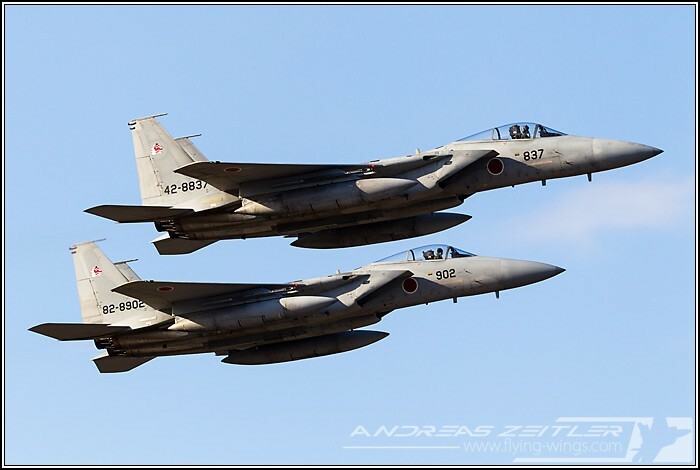 The airshow is a unique occasion to get on base and get a close look on the recent JASDF defense projects, and the test aircraft and prototypes of Japanese military aircraft. 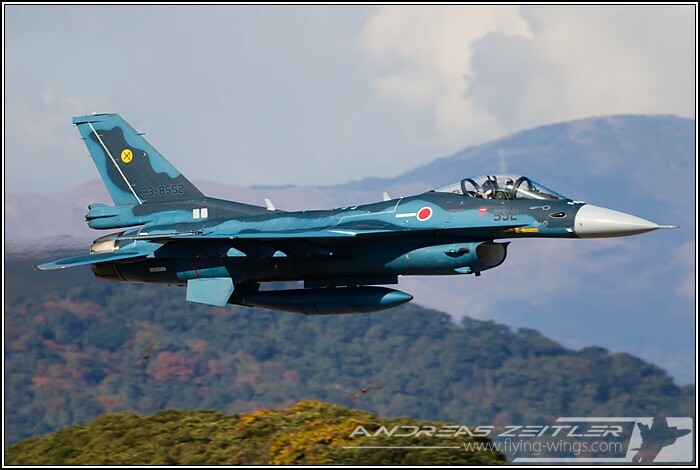 A report about the Gifu airshow 2014 can be found on a separate page on this site. 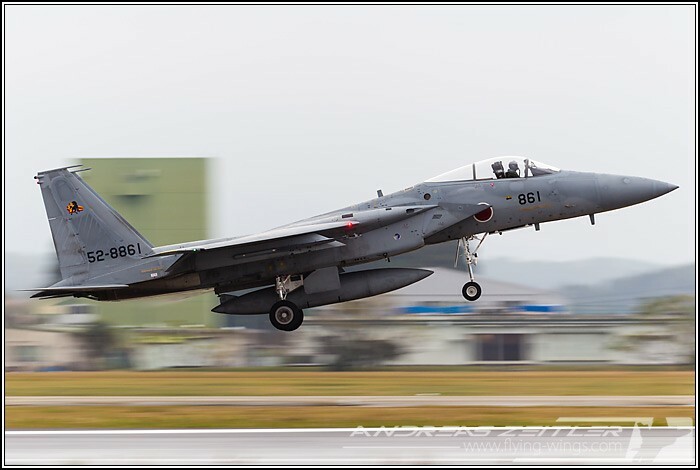 Gifu is thus the place where the first F-4EJ Phantoms and F-15J Eagles fly, the prototypes of the indigenous Mitsubishi F-2 „Viper Zero“ support to upgrades of Japan’s multi-role fighter Jet. 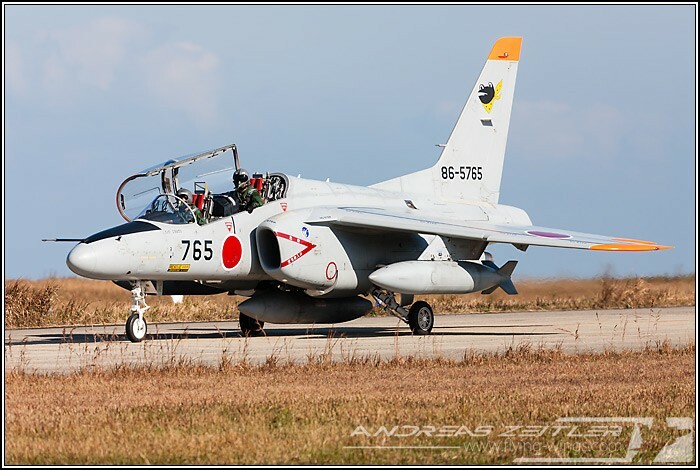 After the P-1 maritime patrol aircraft (MPA), the domestically developed successor to the submarine hunter Lockheed P-3 Orion, the main activities at Gifu focus today on the XC-2, which will replace the Kawasaki C-1 transport aircraft in the near future. 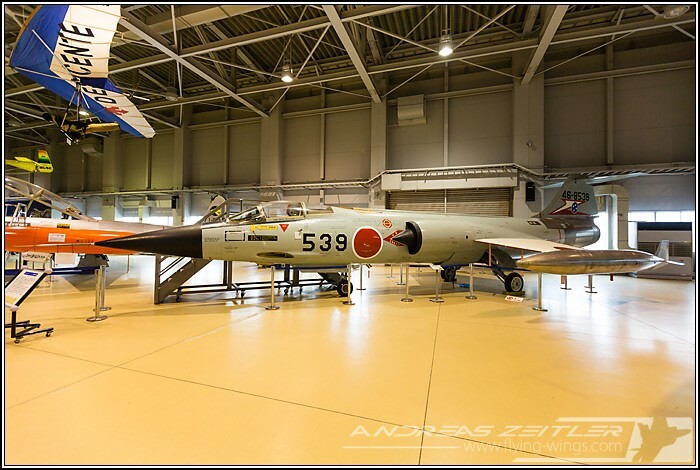 Of course there is also the aviation Museum at Kakamigahara, which hosts numerous prototypes and testbeds that were test-flown it Gifu. 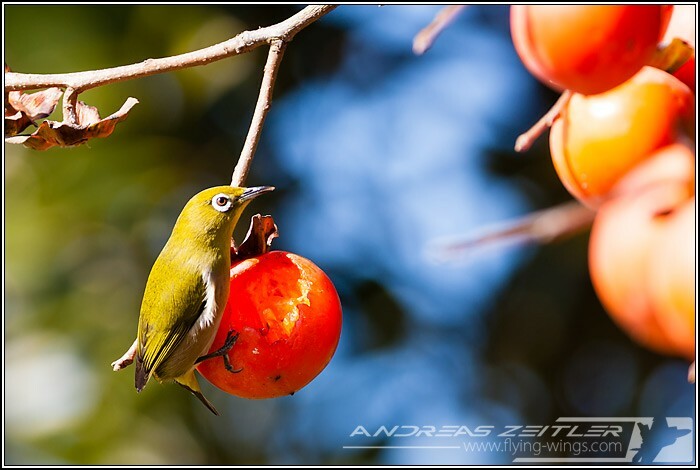 It is also always worth a visit if you are in the area. 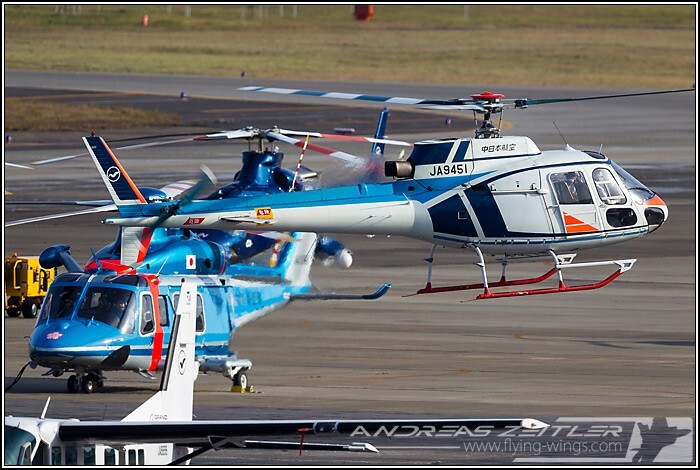 Even more so when you realize that there is no more flying activity at Gifu. 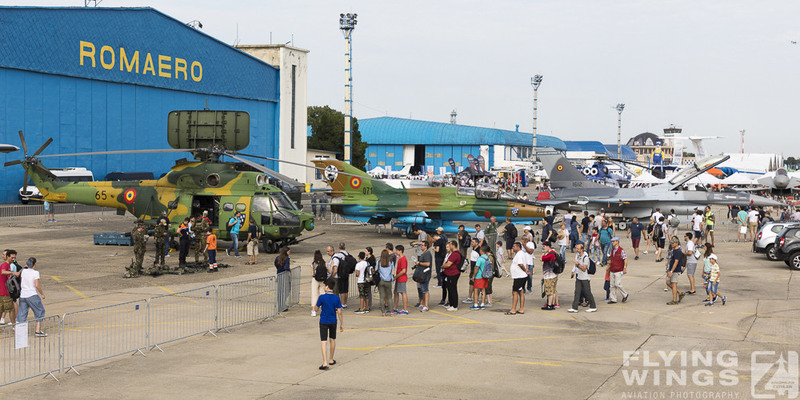 The main attraction of the annual airshow is big mixed formation varying from year to year. 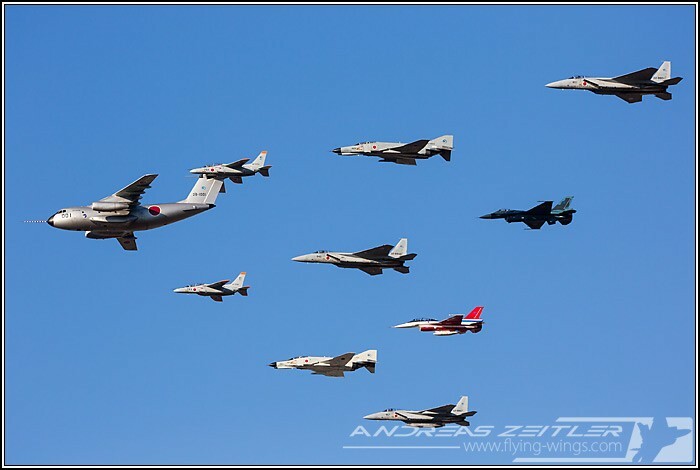 In 2014 the formation leader was a C-1 transport plane, followed by Phantoms, Eagles, F-2 and T-7, which made a great sight in the air. Solo displays complemented this happening, though they were a bit restricted. 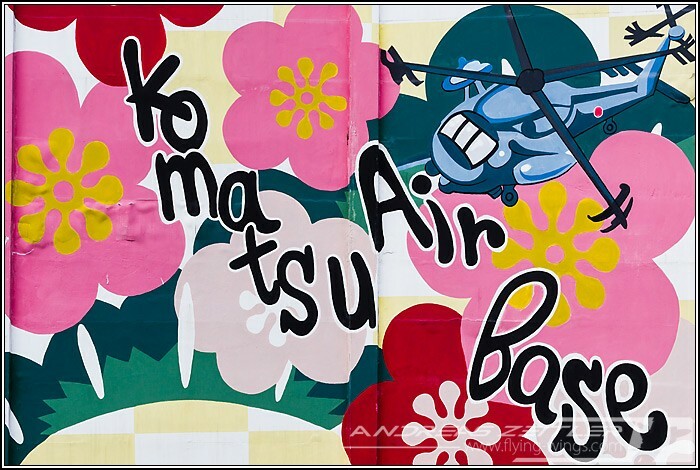 No wonder as the airbase is in the middle of a densely populated area and surrounded by housing areas on every side. 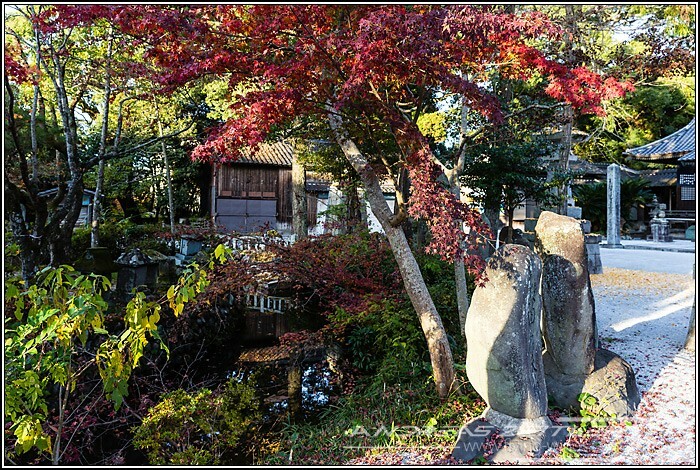 But nevertheless, there was also always the Chance to spot some autumn Colors. 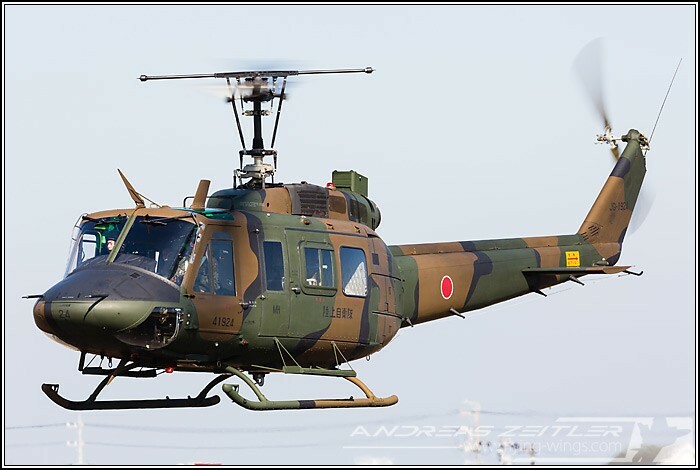 Further South and reached from Gifu with another long, but easy rive another interesting airbase not to be missed was Akeno, home of several JGSDF helicopter (training) units and greatly accessible for photography, especially early in the morning. 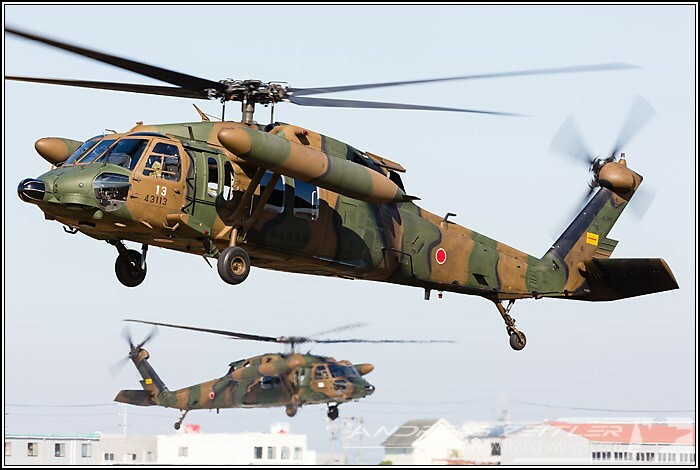 Apart from the AH-64D Apache and CH-47 Chinook the based helicopters posed nicely in front of the lens on a perfect morning. 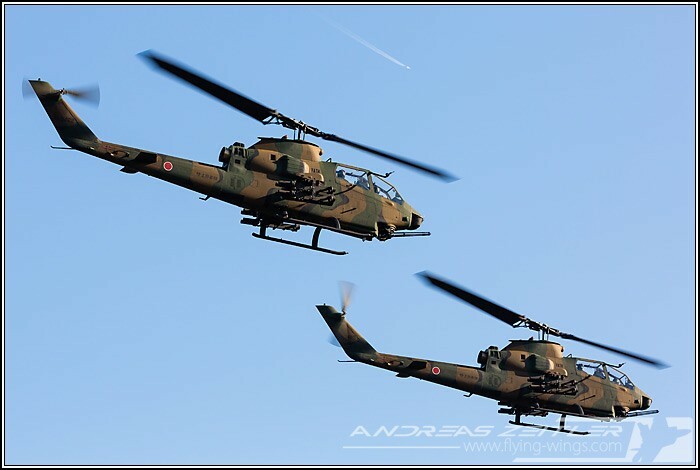 The OH-1 Ninja observation helicopters and AH-1 Cobras were in full swing, together with the TH-480 training helicopters continuously in the circuit around the airfield and a pair of UH-60 Blackhawks going out. 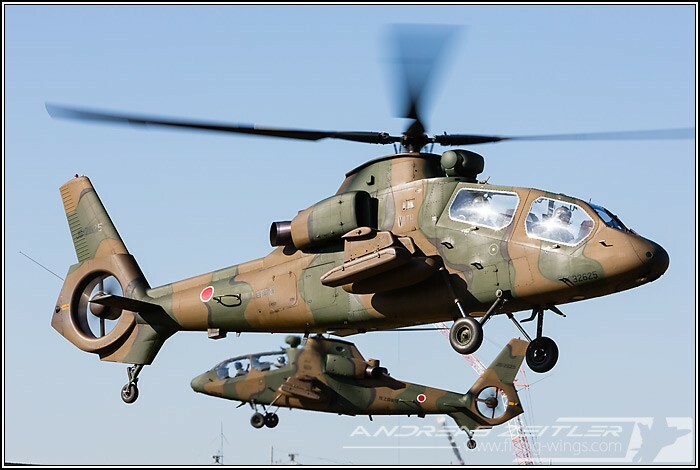 Unfortunately the light turns not so good around midday for the nice three-tone camouflage of these combat helicopters. Time to move North again to Komaki! 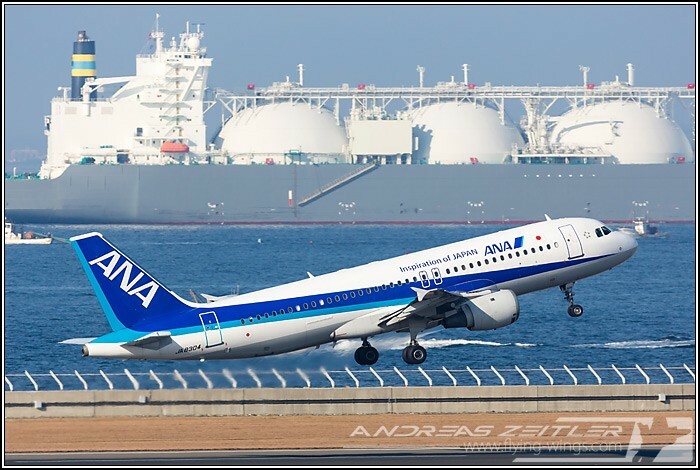 Komaki is Nagoya’s previous main civil airport, which is nowadays replaced by the Nagoya Centrair airport build on an artificial island South of the City. 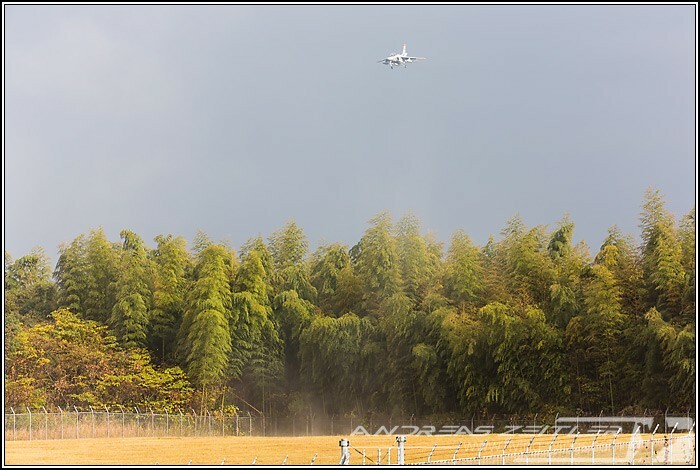 But still Komaki is used as a hub for the domestic flights of Fuji Dream Airlines (FDA) colorful fleet of Embraer regional jets as well as numerous helicopters, which use the Airport as a m,ain hub for their shuttle services. 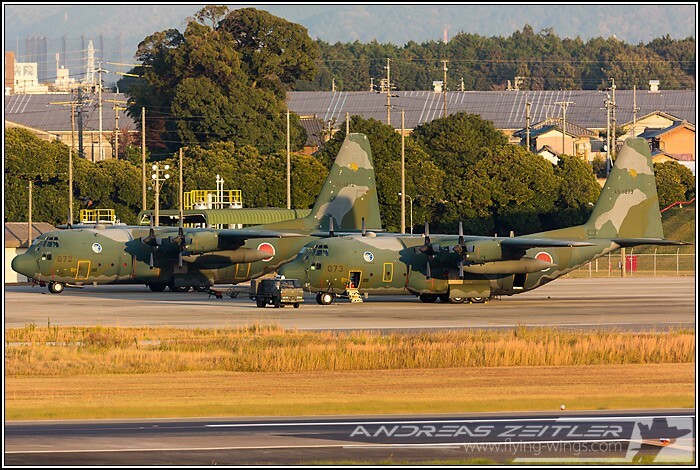 On the military the airfield hosts a wing of C-130 Hercules and the KC-767 tanker aircraft of the JASDF. 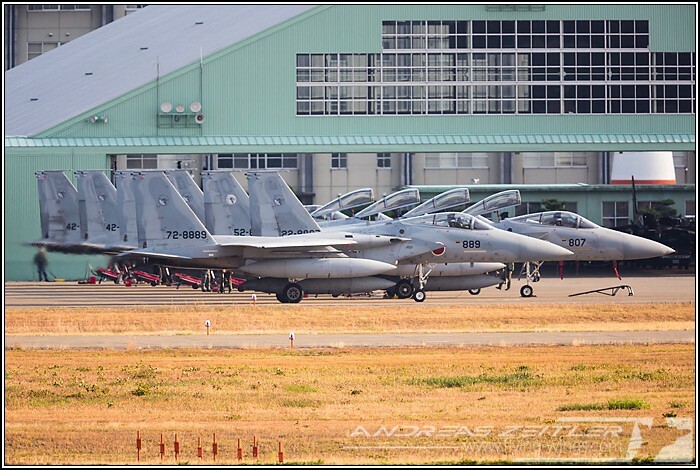 And it is home of the Mitsubishi factory, thus the chances are given to get a check flight on either an F-2, F-4 or F-15, which all come regularly there for maintenance. 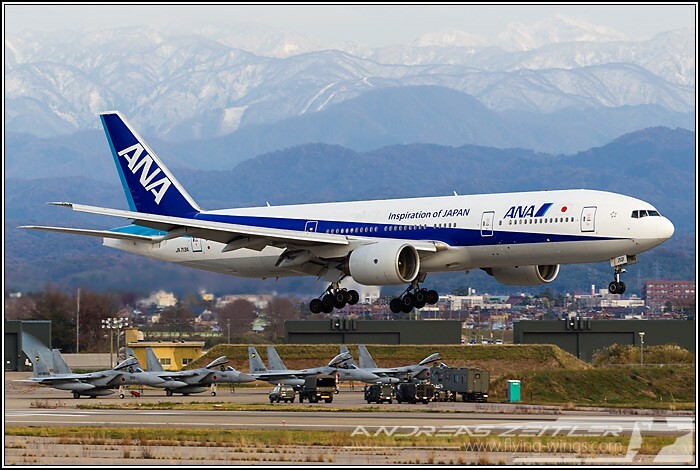 As at Akeno in the morning luck struck at Komaki this day as well: an immaculate F-2 coming out of Mitsubishi in splendid new colors, all four KC-767 on the ramp on the other (military) side, and a three-ship formation of C-130 Hercules approached the airfield during dawn and came in to land. All observed from the very relaxed spot on the visitor’s deck of the civil terminal. 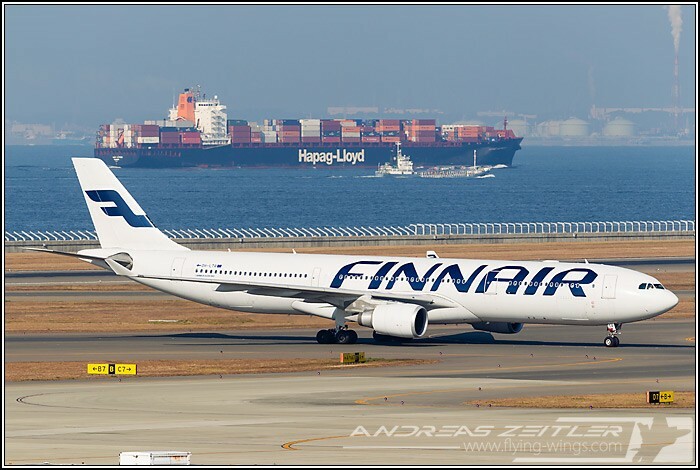 Another good time was also spent on the visitors deck of Nagoya Centrair’s airport before the flight further South. 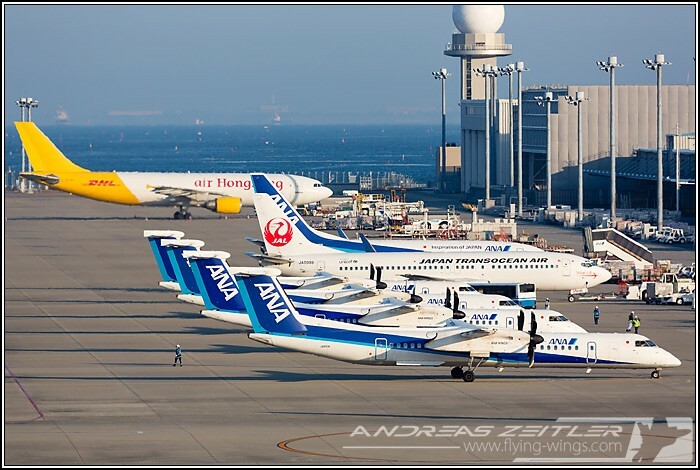 With some international traffic in the morning and an interesting mix of Japanese smaller regional aircraft it was a nice stay, however traffic slows down around midday and the light is getting bad. 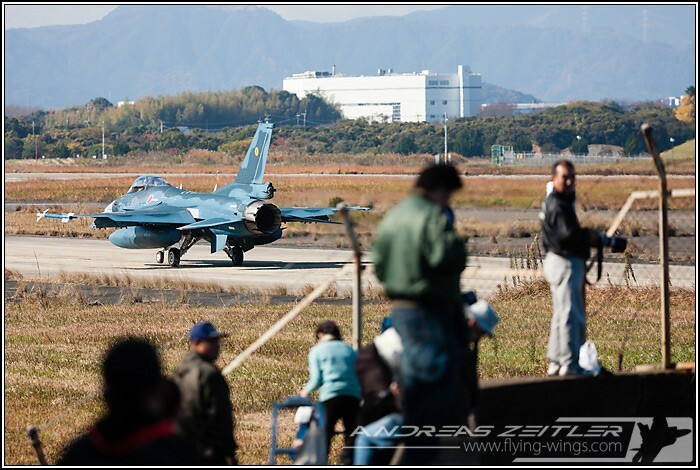 Tsuiki on the Southern island was the main ‚task‘ during the week preceding the airshow at this base. But somehow bad luck regarding the weather struck again. 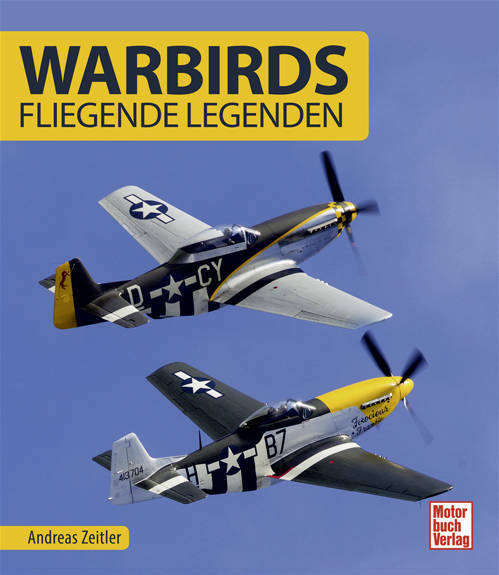 Only one day during the week was really good, which was extensively used by aircrews to fly regular missions as well as to train for the airshow. 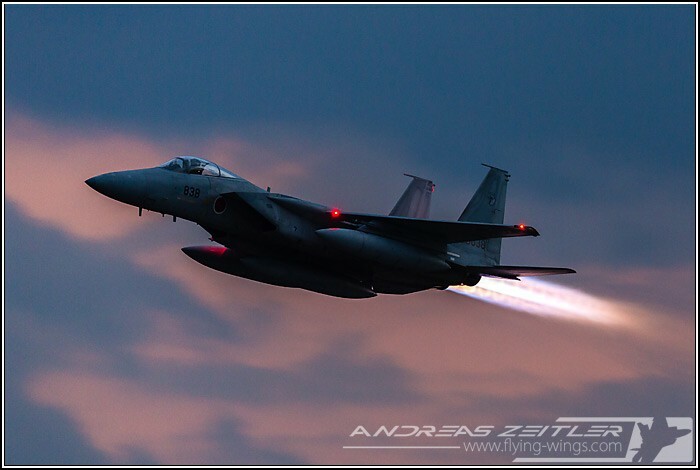 Absolutely stunning, with three waves of four F-15s and between 6 and 8 F-2s going out for their missions. 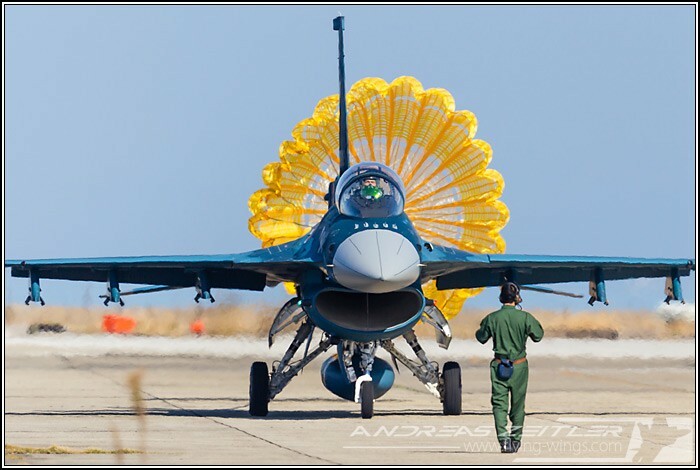 Unfortunately the special markings for the airshow were not readily painted yet to practice this day. 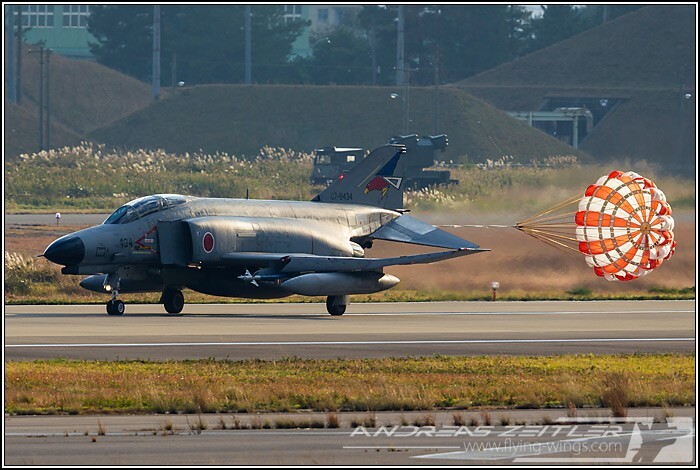 However only one day of sun during the week was a bit sparse, and making the drive to Nyutabaru to stand there in the rain as well, seeing only four F-4EJ Phantoms flying and two special painted Aggressor jets was somehow frustrating… I have had better days there! Tsuiki airshow some days later was great in the morning, but very wet in the afternoon. 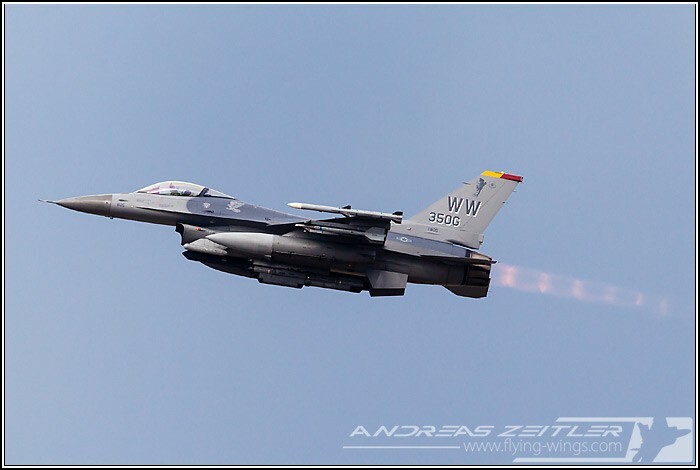 This is covered in a separate airshow report linked here. To finish with some scenic sights the drive to Mt. 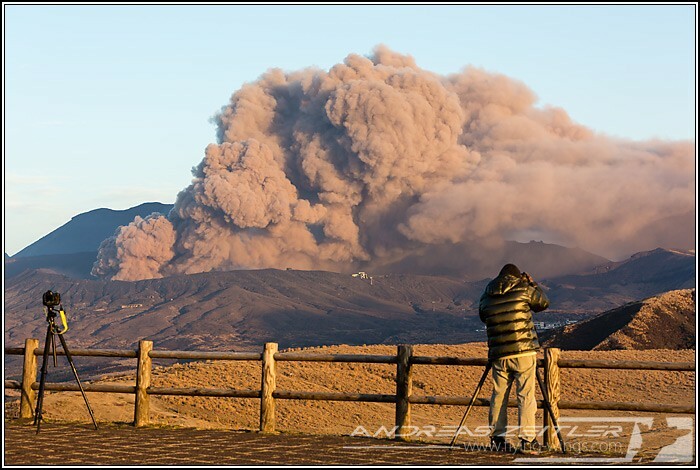 Aso was a must for a sightseeing trip, as this volcano erupted for the first time since 22 years, spitting huge ash clouds up to 800m in the air and causing interruptions at the nearby Kumamoto airport. Furthermore the volcano itself is located in the middle of the world’s largest caldera having a circumference of about 128km, which makes an interesting drive heading South from Tsuiki. 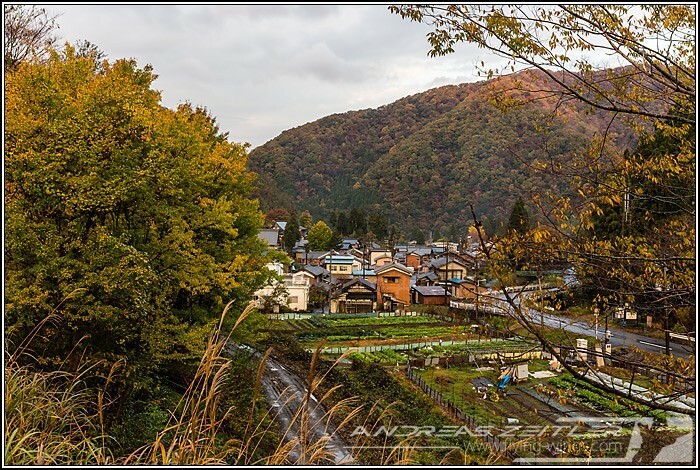 With a bit more rain and clouds than usual during this trip Japan's National Tourism Organization Slogan "Japan. Endless Discovery" was however true once again during this trip. 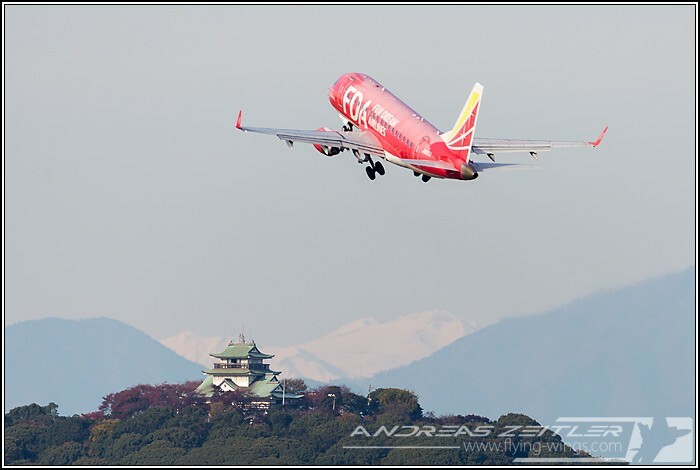 It was once again a very nice time and a warm welcome in the land of the rising sun! More photos from this trip in a higher Resolution can also be found on airliners.net and airfighters.com.